All meetings are held at Penumbra Foundation. Image © Joseph Michael Lopez. Moderated by SEAN CORCORAN (Curator of Prints and Photographs at the Museum of the City of New York). Saturdays and Sundays, 10-am-5pm: October 7/8; 14/15; 21/22; 28/29. This intensive month-long, weekend series will focus on developing your visual language and practice. While immersing yourself in the lessons of four professional photographers over the course of the month, you will gain a unique experiential opportunity to put the knowledge of this lab series into practice within the New York’s unique and diverse neighborhoods. (Limited to 8 students). To learn more about the photographers, read their bios below. Visual language: In your most recent work The Lonely Ones you used images and text together. Could you tell us more about this combination? Are you willing to expand this practice into future projects? I lived with the images that are in The Lonely Ones for a long time. I knew that I wanted to use them not to describe the time and space that their creation was attached to, but rather to speak more about a state of mind. The image-text relationship in the work is not a didactic one. The book is held together with moments of humour but it ultimately asks the reader to embrace the ambiguity that is found between the images and the text. The practice of working with “straight photography” and text together to move towards more conceptual spaces rather than descriptive ones is something that I plan to continue. Photobooks: You published two monographs, The Company of Strangers and The Lonely Ones. Could you elaborate on how you transform your projects in book form? When I am making the pictures I am really just trying to make the best image that I can of the world that I am encountering. Once I begin to live with the pictures I start to imagine what it would be like to encounter them in a book. A big part of my practice is making book dummies. Turning the work into a physical object . . . cutting the paper . . . getting out the glue stick . . . all of that is something that I really enjoy and also find extremely informative. New York: You have a special bond with New York. How has the city influenced your way of seeing? I am a native New Yorker . . . so the bond is one that I did not have a choice in. I think of the truest New Yorker as one who is born elsewhere and then comes to the city . . . I am more of a local mushroom. That said, I have been a pedestrian observer of the city my entire life. I think I have a deep feeling for what I call the plasma of life in public space. Sometimes I feel as though I am not photographing the people on the street, but rather all the empty space (the plasma) that is between them . . . Visual language: You have Cuban origins but lived in New York all of your life. How did this inform your visual language? My mother was exiled from Cuba in 1967, and I was born in Manhattan 6 years later. However, I identify as Cuban. This heritage has definitely shaped me as a photographer and artist, because I place a very high value on freedom. For me, photography is a coping mechanism, a trade and a life process. I think there is a kind of intensity embodied in my visual language that likely was passed down to me through the difficulties my mother experienced in leaving Cuba. My family left New York City in 1975 and then I grew up in South Florida. I returned to the city in 1998 to pursue a life in photography and filmmaking. Though, right now I’m in Miami teaching analog black and white photography for the semester, but I’ll be back in the city soon. Education: You started your photography career as an autodidact, but you ended up getting an MFA at Columbia University where you were accepted based on the merit of your documentary portfolio. How did you find both experiences? Well, both of those experiences are almost binary. My main evolution has taken place on the street, the result of a process of 19 years taking and making pictures of strangers and loved ones, discovering myself, pushing myself to go deeper and questioning everything as a practice of an ongoing personal reportage. I eventually began forming projects that I’m currently refining and expanding to this day, and that&#39;s what bridged me into graduate school. I’ve always known that I had something to say and for me those two years at Columbia made sense, it was my way of formalizing some things and filling in the gaps. Everybody has a different way forward. New York: Your work is very entwined with the city of New York. Do you have any curious story to share with us about the city? I love the culture here but it’s changed so much by new economies and new developments rising right and left— sustainability is a big question. I feel the city is becoming an amusement park with everyone looking at their phones. What kind of life is that? It’s tough but there are still some great places to explore and amazing people to encounter. Larry Fink has had one-man shows at New York’s Museum of Modern Art, and the Whitney Museum of Modern Art amongst others. On the European continent, he has had one-man shows at the Musee de l’Elysee in Lausanne, Switzerland and the Musee de la Photographie in Charleroi, Belgium. Most recently, Larry has been awarded the 2015 International Center for Photography (ICP) Infinity Award for Lifetime Fine Art Photography. He has also been awarded two John Simon Guggenheim Fellowships and two National Endowment for the Arts, Individual Photography Fellowships. He has been teaching for over fifty-two years, with professorial positions held at Yale University, Cooper Union, and lastly at Bard College, where he is an honored professor. As an editorial photographer, The New Yorker and Vanity Fair have been amongst a long list of accounts. Coming early 2017, Fink On Warhol: New York Photographs of the 1960s, featuring rare photographs of Andy Warhol and his friends at the Factory interspersed with street scenes and the political atmosphere of 1960s New York. Additionally, he is currently working on a massive retrospective book to be published by the University of Texas Press. 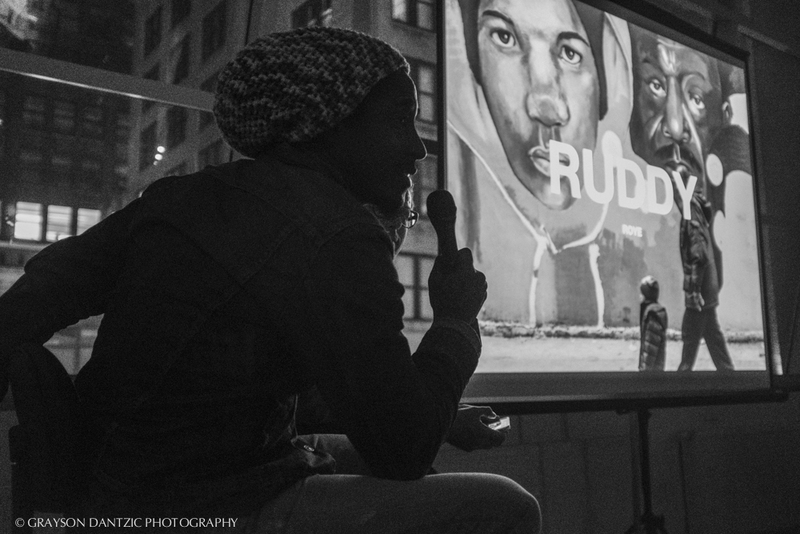 Radcliffe Roye is a Brooklyn based documentary photographer specializing in editorial and environmental portraits and photo-journalism photography. A photographer with over twelve years of experience, Radcliffe is inspired by the raw and gritty lives of grass-roots people, especially those of his homeland of Jamaica. Radcliffe strives to tell the stories of their victories and ills by bringing their voices to matte fibre paper. Recently, Radcliffe began experimenting with interpretative photography, preferring to allow the abstract content within the frame to dictate the voice and purpose of the image. His Elements series focuses on the bold, austere, graphic and emotionally raw imagery, that is trapped behind a diffused lens. With painterly abilities, Radcliffe uses this diffused methodology to subtly awake the subconscious and expose the isolated figure or vision painted within a rhetorical frame. Gus Powell was born in New York City in 1974 and attended Oberlin College where he majored in comparative religion. In 2003 he was selected to be in PDNs 30 under 30 issue and also published his first monograph, The Company of Strangers (J&L Books). His work has been exhibited internationally, including a solo show at The Museum of The City of New York and group exhibitions at The Art Institute of Chicago, Museum of Fine Arts Houston and FOAM, NL. His photographs have been published in Aperture, Harpers, Vogue, M le mag – Le Monde, Wired, Fortune and W, and he has been a regular contributor to The New Yorker magazine for a decade. 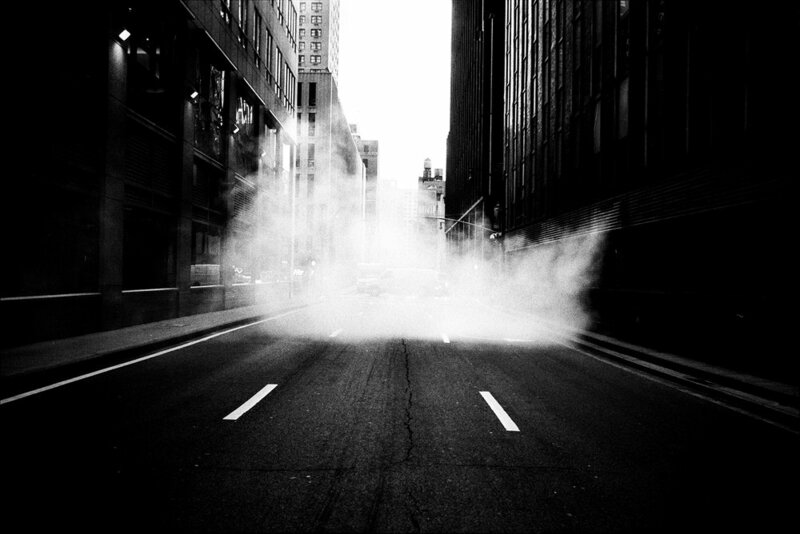 He is a member of the street photographers’ collective In-Public and is faculty in the MFA Photography, Video and Related Media Department at the School of Visual Arts, NY. His work is included in the books Bystander: A World History of Street Photography and Street Photography Now. Powell’s second monograph, The Lonely Ones (J&L Books 2015), was inspired by the work of William Steig and is a return to his earlier practice of using image and text together. Joseph Michael Lopez was born in New York City in 1973 to a mother who escaped the Cuban revolution in 1967. He began his career as an analog cinematographer on the critically acclaimed Bruce Weber film, Chop Suey (2001), and was an autodidact until 2009, when he approached Columbia University without an undergraduate degree and was accepted as a MFA candidate based on the merit of his documentary portfolio. He completed his MFA in 2011. Currently, Joseph divides his time between long-form projects, teaching, and commercial work. His photographs have appeared on the cover of M, The Magazine for Leica M Photography, The Sunday Review of The New York Times, New York magazine and The New Yorker, among others. Joseph’s photographs of Cuba work were recently on exhibit in Cuban Photography after 1980: Selections from the Museum’s Collection, at The Museum of Fine Arts in Houston. In 2016, a commissioned series of his photographs of New York neighborhoods, titled New York at Its Core: Future City Lab, was permanently installed at The Museum of the City of New York. Images from Dear New Yorker, the series from which this commission originated, have also been published in Bystander: A History of Street Photography, by Colin Westerbeck and Joel Meyerowitz, and 100 Great Street Photographs, by David Gibson.